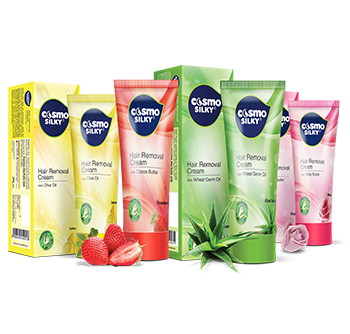 Cosmo Hair Removal Cream is enriched with natural ingredients like aloe vera, rose, lemon and strawberry extracts. 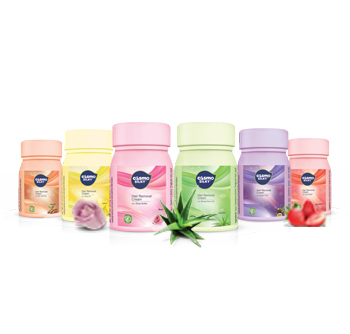 Together these deliver a multitude of benefits which soothe, calm, nourish and hydrate your skin in minimum time. that will leave your skin silky-soft and scented in fruity flavours. And it’s all under just 5 minutes! With Cosmo Hair removal cream, getting rid of those unwanted hairs will feel no more of a torture. Highly gentle and safe to use on legs, underarms and bikini line, the cream comes enriched with vitamin E and moisturising ingredients that will leave your skin silky-soft and scented in fruity flavours. And it’s all under just 5 minutes!